On Thursday evening, Mediaite reported that actor Alec Baldwin will be joining the MSNBC primetime lineup every Friday night at 10 PM ET. His program will replace the Lockup prison documentary series that airs at that time each Friday. MSNBC’s decision to give Baldwin a slot does not come without controversy; Baldwin is prone to high-profile meltdowns. In the aftermath of the Trayvon Martin verdict, he tweeted that Florida was a “f—ed up” parallel universe. In June, he went on a homophobic Twitter rant against a British journalist, calling him a “toxic little queen.” In February, he allegedly used a racist slur against a New York Post photographer. In December 2011, his refusal to stop playing “Words With Friends” on a flight got him booted off an airplane. In 2007, he left an angry voicemail with his daughter, calling her a “rude, thoughtless little pig.” In 1998, he suggested that he would like to “stone Henry Hyde to death” for participating in the Clinton impeachment proceedings, and that if he didn’t live in America, “we would go to their homes and kill their wives and their children. 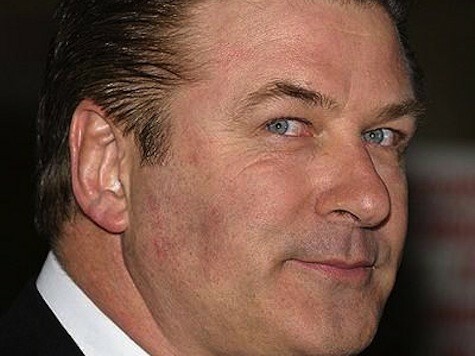 We would kill their families, for what they’re doing to this country.” And, of course, Baldwin bears a pathetic hatred for all things Breitbart. Sounds like he’ll fit right in at MSNBC.